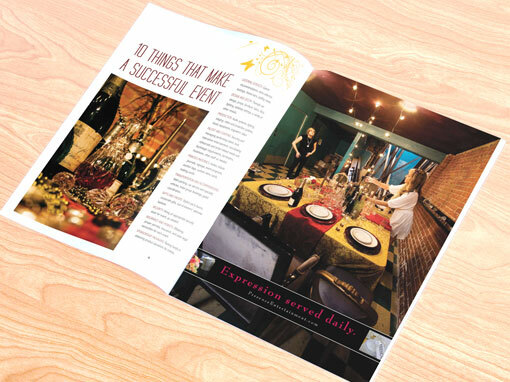 Presence Entertainment wanted to communicate the variety of their services in a way that represented their fun and professional event planning and staffing company. We decided to create a media kit with a magazine layout that would showcase their creativity and some of their work. Every single page throughout the press kit was designed to mimic an entertainment magazine layout and style.